Intermittent hypoxic training (IHT) is a discrete cost-effective method for improving athletic performance and high altitude acclimatization. Unfortunately, IHT protocols widely vary in terms of hypoxia severity, duration, and number of cycles affecting physiological outcomes. In the present study, we evaluated the efficacy of a moderate normobaric IHT protocol (12% FiO2 for 4 h, 4 days) on acclimatization to high altitude (3250 m). Global plasma proteomics studies revealed that IHT elicited acute-phase response proteins like C-reactive protein (CRP), serum amyloid A-1 protein (SAA), and alpha-1-acid glycoprotein 2 (AGP 2) as well as altered levels of several apolipoproteins. On subsequent exposure to high altitude, the IH trained volunteers exhibited significant higher arterial oxygen saturation with concomitant lower incidences of acute mountain sickness (AMS) as compared to controls. Interestingly, IH trained subjects exhibited lower levels of positive acute-phase proteins like C-reactive protein (CRP), serum amyloid A-1 protein (SAA), and fibrinogen (FGA, FGB, and FGG) both after days 4 and 7 of high altitude ascent. 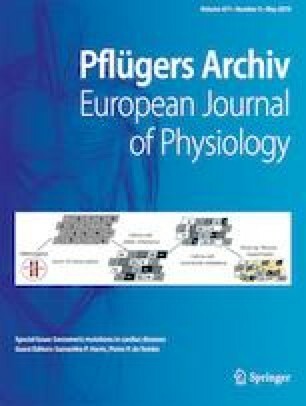 High altitude exposure also decreased the levels of HDL, LDL, and associated proteins as well as key enzymes for assembly and maturation of lipoprotein particles like lecithin-cholesterol acyltransferase (LCAT), cholesteryl ester transfer protein (CETP), and phospholipid transfer protein (PLTP). In contrast, IHT curtailed hypoxia-induced alterations of HDL, LDL, Apo-AI, Apo-B, LCAT, CETP, and PLTP. Further validation of results also corroborated attenuation of hypoxia-induced inflammation and dyslipidemia by IHT. These results provide molecular evidences supporting the use of moderate IHT as a potential non-pharmacological strategy for high altitude acclimatization. Anamika Gangwar and Pooja contributed equally to this work. The online version of this article ( https://doi.org/10.1007/s00424-019-02273-4) contains supplementary material, which is available to authorized users. The authors acknowledge all the study participants and The Indian Army for facilitating this study. The technical help provided by Dr. Dishari Ghosh, Harish Kumar, Sanjiva Kumar, and Deepak Das is highly appreciated. AG is recipient of Senior Research Fellow from DST-INSPIRE, India, and Pooja is a recipient of Senior Research Fellowship from UGC, India. Experiments were conducted in accordance with the Indian Council for Medical Research (ICMR) guidelines (National ethical guidelines for biomedical and health research involving human participants) and were approved by the Defence Institute of Physiology and Allied Sciences Ethics Committee.